Thing is...well...there's more to level 14 troops than just the fastest, easiest one to get there. You have the Beta Minion and Night Witch - the one-two punch of the Mitch combo. 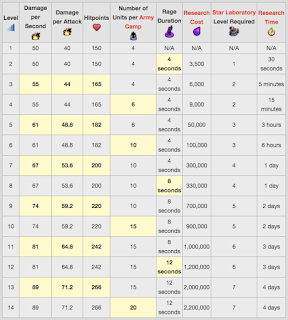 If you had them to level 12 at BH6, then they're just a little bit further to go, getting them to level 14. There's Sneaky Archers who also get a bump to their camp numbers and you can carry 50 into battle. And, of course, let's not forget about Drop Ships - they take forever to max out because you have to go from level 1 to level 14 (and that's 25.5M elixir) but they are the strongest companion troop in the game once you hit level 14. Just watch some of my Minion Drops videos if you don't believe me. So what's the deal here then? The Builder Base is a bit different from the main game in that what we call "rushing" on the main game is just the way you play the Builder Base. 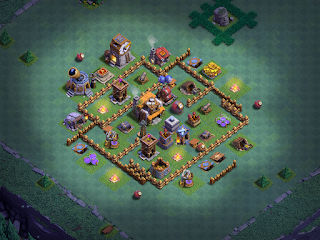 Builder Hall level really isn't all that important; yes, it opens you to greater offensive and defensive capabilities, but you'll find that a BH7 can be beaten by a lowly BH4 if the BH4 player has strong offensive capabilities and is a good attacker, and the BH7 player has low defensive capabilities and is a not so hot attacker. The problem is that SO many players have rushed ahead with one of the four pillars and left the others behind. In short, they've created a bit of an imbalance in their game. The most common deficit is in defensive capabilities and attacking skills. If your defensive structures are typically level 4 or under, then a level 14 attack strategy (like L14 Bombarian) is going to run roughshod over your game. Make no bones about it - level 14 troops are designed to be able to beat fully maxed, level 7 defenses! This is why getting such a strong troop so early in its introduction is absolutely devastating to those who have not built up their defensive capabilities. Those players who are running a level 5 or higher game are still going to struggle against a level 14 attack - and that's how it should be. The way to combat that...with a better attack of your own. If your defenses are up to snuff, you will likely be able to hold most Raged Barbarian army comps to 65%-82% 2-star results, and even 1-star results. At that point, it's all on you - you've got to start turning out 70% or higher, 2-star results of your own. If you don't, then you stand a good chance of losing the match. The companion video to this article is up and shows my defenses from yesterday. For some reason, my flaghship game (Noctaire) was just getting hit with one Raged Barbarian attack comp after another while I was working on some attacks. Almost all of them lost because they didn't get the second star or were under 70%. So, I grabbed a bunch of them and put them into a video to show that this attack really can fail if you balance the pillars. Link to the video is below. I hope you find this explanation helpful as you play the game and work to develop your own BB game in a balanced fashion. I'll have the second strategy article up (Defense) in just another couple of days.